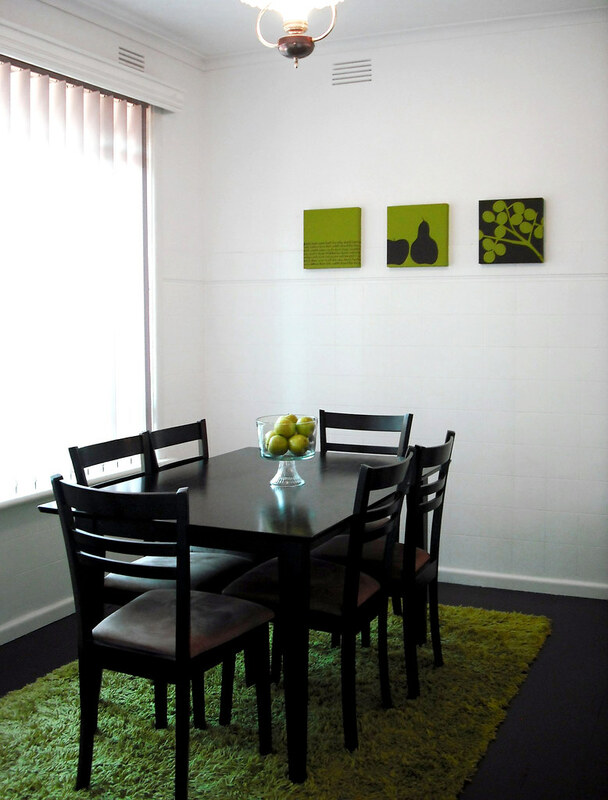 Since winning this house at the auction in March 2010, getting hold of the keys a couple of weeks before I was due (with my first) and renovating a few days after I gave birth (my husband that is, not me! ); this kitchen probably has to be the every renovators worst nightmare. So much drama. So much hassles. So time consuming. From the very beginning to installing the very last handle on the kitchen cabinet door, there was always something wrong. How could you possibly drill a hole in the wrong spot? I do not like builders. But, Alhamdulillah. Whilst I was pregnant, I was in charge of the kitchen. Drawing the layout in AutoCad, designing, choosing materials and finding the builder + suppliers. And then my daughter decided to pop 2 weeks early. The day that I gave birth, was the day I was going to order the kitchen from the supplier. I had to drop everything and hand it over to my husband. Of course he was a little clueless. Poor guy. I had to fill him in at the hospital. Oh such memories. So now, my husband took over my role. 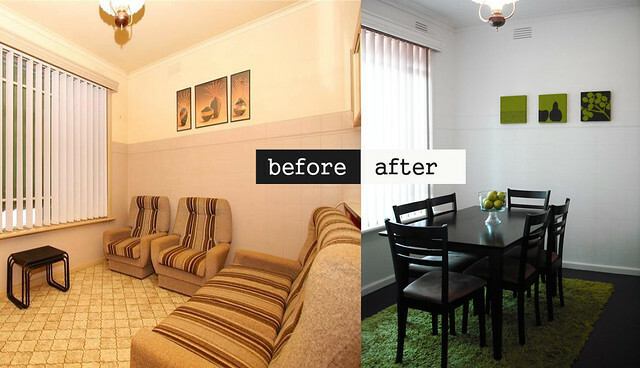 Before he could start renovating, he had to get the kitchen checked for asbestos to get it professionally removed. And then he could demolish the entire kitchen (leaving only the stove/oven because it was still fairly new and in excellent working condition). The vinyl flooring was annoyingly difficult to remove. I think it was stuck to the ground with super glue! And because of that, it wrecked the floorboards underneath. A few other things went haywire, like how the plumber and builder started arguing. In the end, I had to compromise and swap a couple of my cupboards around. Great. But you learn to get over it. Excuse the poor quality photo. It was taken with an iPhone. 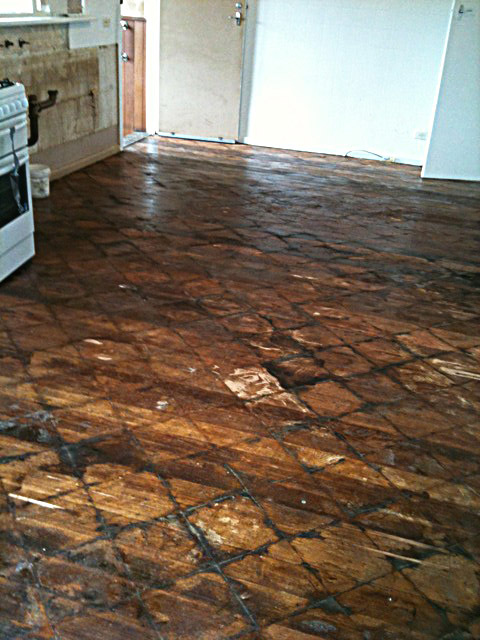 This was after the vinly flooring was removed. Even after extensive sanding, the lines wouldn’t go away. He could not stain it as it would just enhance the lines, so he had to use paint. Painting means covering the timber floorboards and their wooden grain. 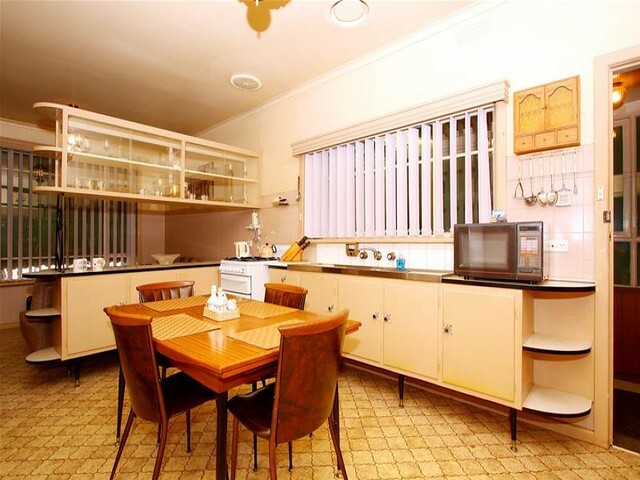 Though I wanted a stone benchtop, it would cost us a fortune to get it. We have a huge bench space area so that explains the cost but I was happy to settle for a laminate instead. 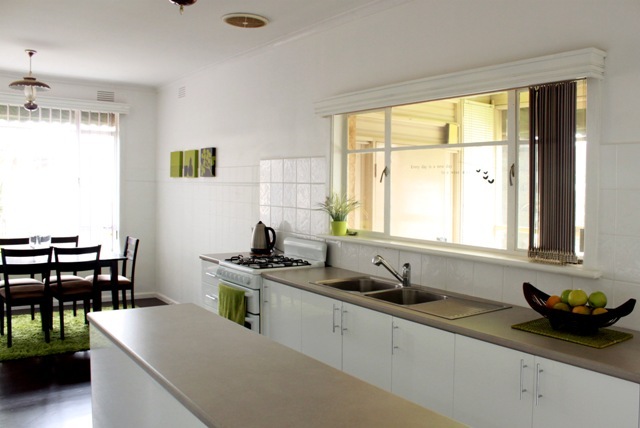 The kitchen extends to the opposite side (of the sink) where we have overhead cupboards, a pantry and the fridge. The splashback? Lets just say I did not approve of that. I came back from the hospital one day to find out my glass splashback had turned into a tile splashback. What?!! Hm…Ok. Just accept it Iva. And I did. Its not that bad after all. But did I mention I do not like builders? Ok enough of the negatives, after all the negativity part of it was only when it was getting built. The end result is what matters. 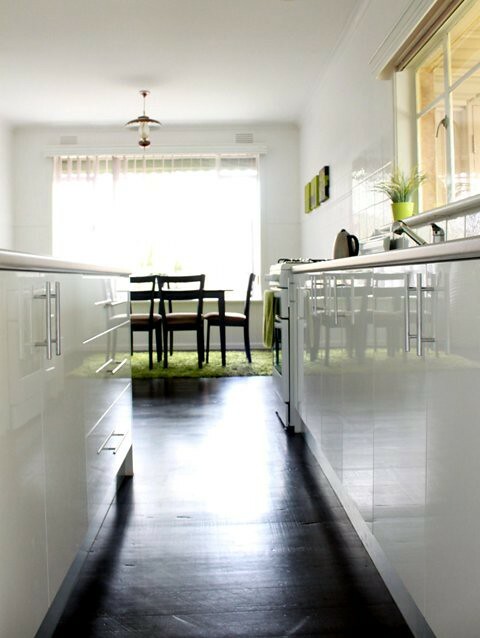 I love the picture (above) as it shows the contrast of the dark timber floors against the white cupboard doors and walls. I have to thank my husband for a wonderful job. 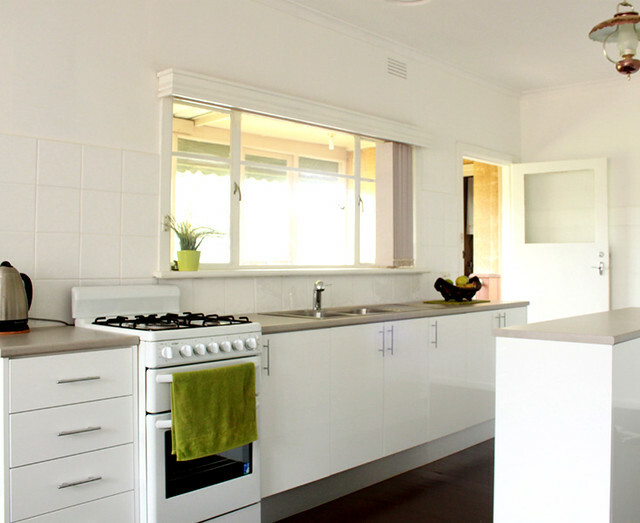 He painted the whole house including the kitchen in my favourite colour: white, I love white. So refreshing. So pure.